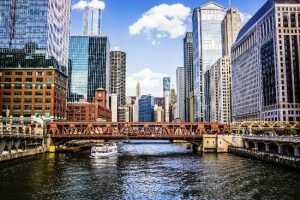 Downtown Chicago is where you would have wanted to be July 16-18 for the CPDA Summer Conference and Annual Meeting, held at the Omni Chicago Hotel. This year’s gathering promised to be a truly special event and showcased a new strategic direction for CPDA. The CPDA Board of Directors proposed a plan that sets forth a new way of conducting operations and a new philosophy to enhance the value of CPDA membership. This new strategic direction recognizes that issue priorities vary depending on a company’s primary business focus: producer, formulator/distributor, or adjuvant/inert ingredient supplier. CPDA members and non-members had the great opportunity to learn more about how this new approach will enable the Council to better meet their needs. These are but a sampling of the topics that was addressed at the Conference. Attendees were assured that they will come away from the meeting with a greater understanding of the issues and topics affecting their business operations. The conference speakers program may be accessed by clicking here. 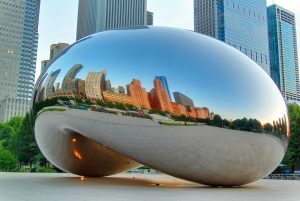 The CPDA Summer Conference & Annual Meeting offers a special program for spouses and guests filled with fun and relaxing things to see and do in Chicago. While CPDA is transitioning into a new, refocused organization in meeting the needs of its members, one long-held tradition remains – the CPDA Awards Banquet, to be held in conjunction with the Conference. Each year, this event provides CPDA the opportunity to recognize individuals for achievements, contributions, or service to the Council or the industry. It is our chance to highlight the important accomplishments of these individuals that have led to the many important milestones in the agrotechnology industry that exist today. This year’s CPDA Awards Banquet took place on the evening of Tuesday, July 17th. 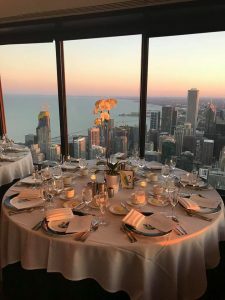 The venue of this year’s Awards Banquet was the Signature Room on the 95th, an upscale dining establishment recognized as part of the “quintessential Chicago experience.” The restaurant offered panoramic views of the Chicago skyline and has been voted one of “America’s Top Tables” by Gourmet Magazine readers consecutively since 1997. 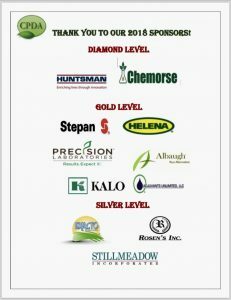 Sponsorship opportunities for the Summer Conference & Annual Meeting are appreciated. If you would like to increase the visibility of your company by becoming a sponsor of this event or any of CPDA conferences, please contact CPDA Director of Regulatory Affairs, Sylvia Palmer at spalmer@cpda.com.